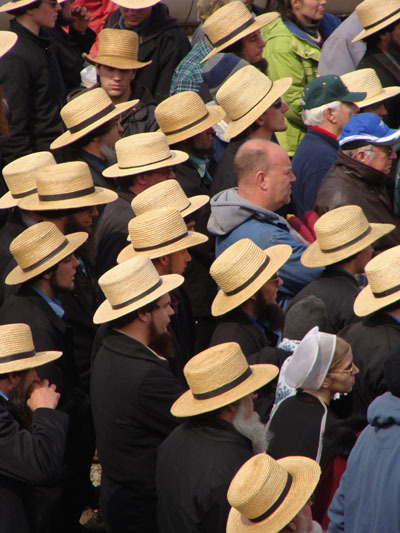 This straw hat is probably the most distinquishing feature of Amish males. It also makes for lovely photographs, whether it is a single hat or many. In this little photography session I am going to talk about picking a subject and then expanding upon it. It could be a flower petal, then a single flower, follwed by a group of flowers and finally a field of flowers. Or, if you just went to the Gordonville Auction, it will be the Amish straw hat. When you single out an item, you can then build a story with your photos. Instead of just clicking away at random subjects, think about the story. The story is always there, you just need to look around, be aware and take those photos. The subject doesn’t haven’t to be anything earth shattering, You don’t have to be at The Great Barrier Reef, or Niagra Falls. 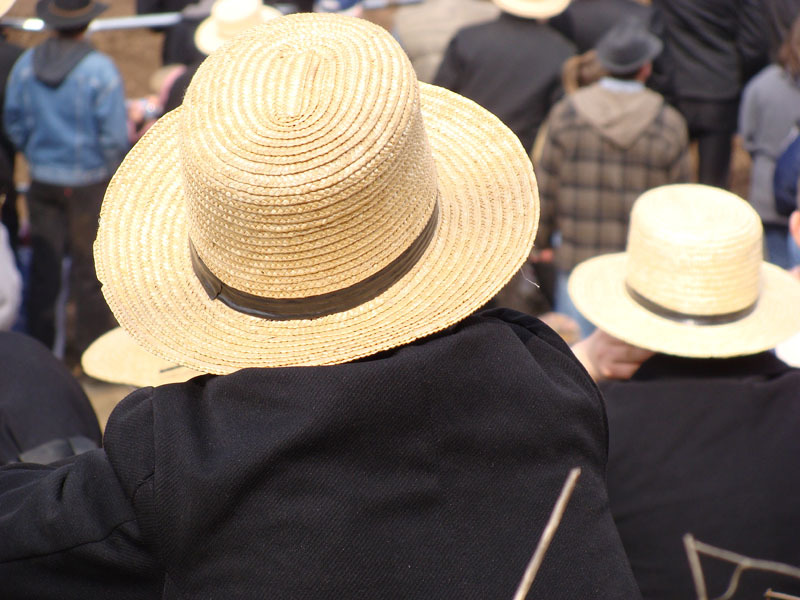 I think that the photo story of my Amish Straw Hats really builds up the interest and feeling of the auction. 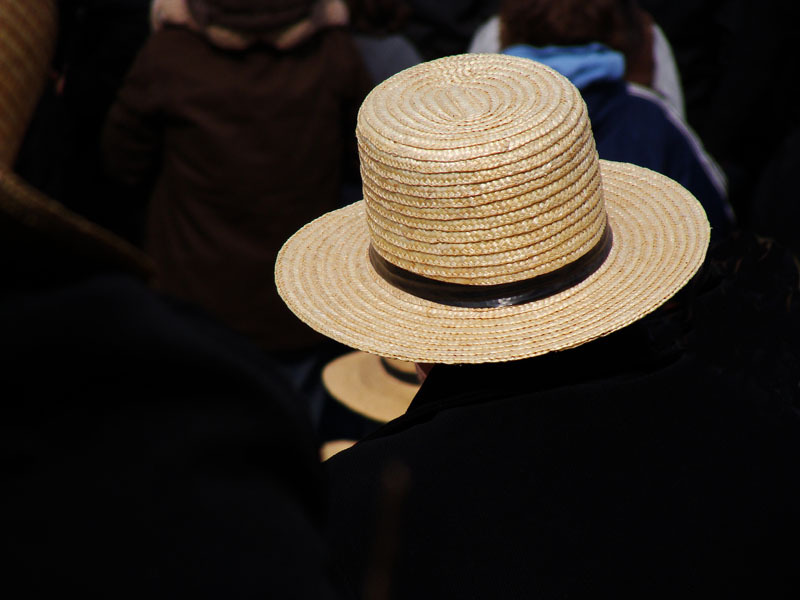 You are able to grasp the single simplicity of the one straw hat and as it builds, you are able to feel the sense of all these hats as they envelope you. 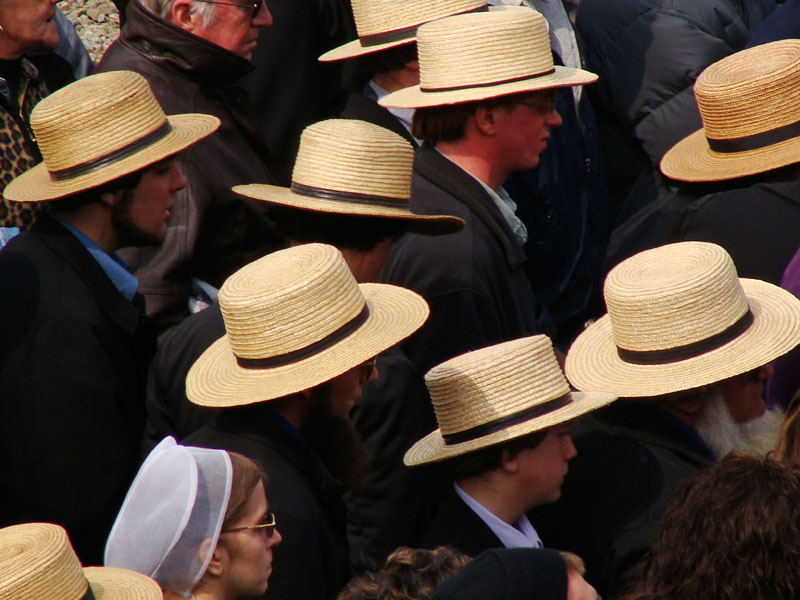 In this way, you get a real feel for the simple yet complex nature of the Amish straw hat. 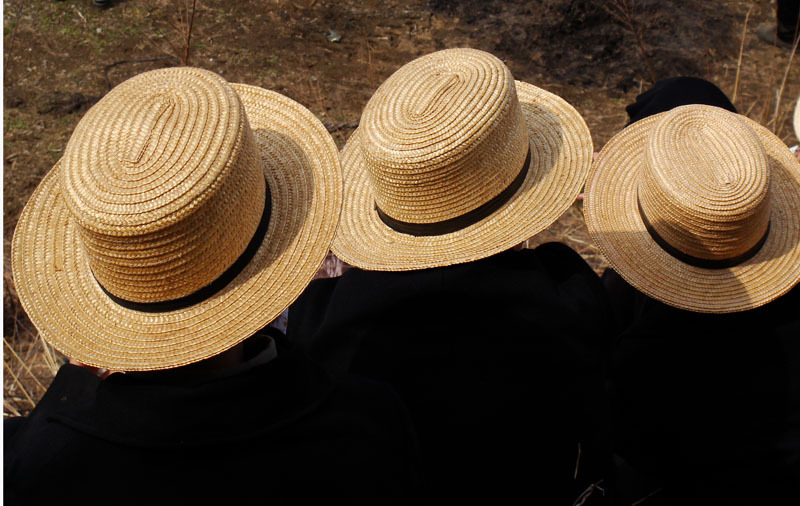 It is not just an adornment or covering but you get a progressive awareness that the hat is at the very core of Amish life.